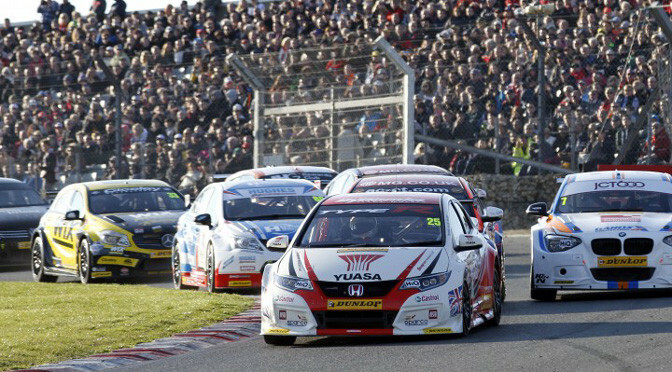 A look back at the 2014 season, which featured 10 meetings, starting and ending at Brands Hatch, with the likes of Colin Turkington and Jason Plato challenging for the title. 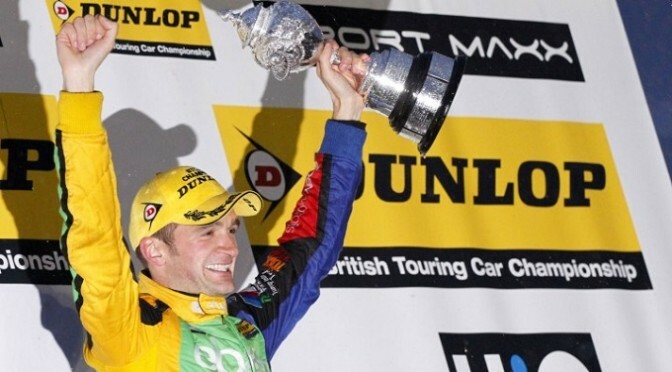 You will see all the best moments from the season, both on track and off track, right up until Colin claimed his second BTCC title at Brands Hatch in October. There will be some all new and exclusive content too, including ITV’s trip to West Surrey Racing’s HQ to speak with the newly crowned champ. MG KX Clubcard Fuel Save driver Jason Plato scored two impressive Dunlop MSA British Touring Car Championship victories at Silverstone, ensuring there will be a title showdown at Brands Hatch in two weeksâ€™ time. Airwaves Racingâ€™s Mat Jackson completed the podium in the opening race, having jumped fellow second row starter Sam Tordoff off the line. MGâ€™s Tordoff had to fend off the Chrome Edition Restart Racing duo of Alain Menu and Aron Smith to claim fourth. The second race also saw one of the biggest accidents of the season when Rob Collardâ€™s BMW barrel rolled several times before coming to rest upside down. 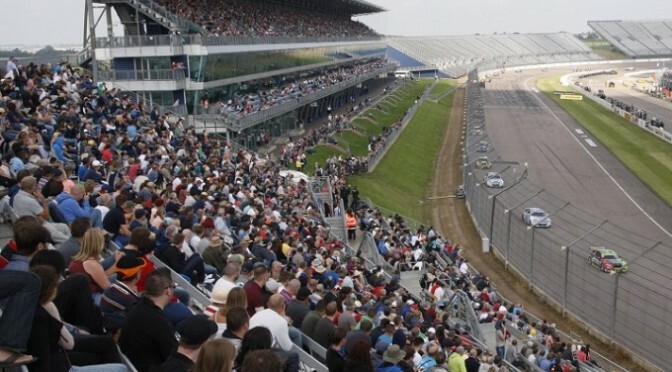 The incident was sparked after heâ€™d made contact with Jack Clarkeâ€™s recovering Ford Focus, which was in the midst of a high-speed slide on the exit of Becketts. A shaken and winded Collard was taken to hospital for precautionary X-rays but was released later on Sunday evening. 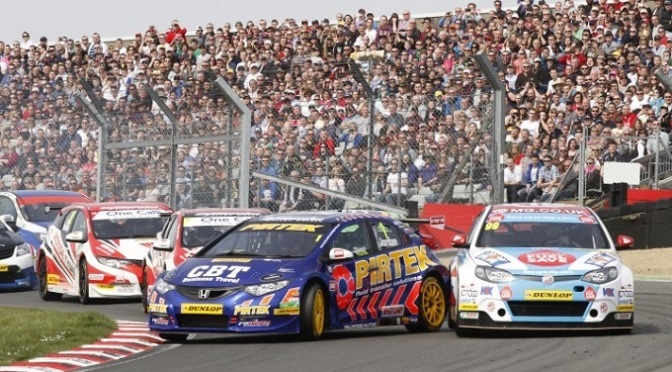 One of the most incredible touring car battles in recent years then played out when no fewer than five former BTCC champions went doorhandle-to-doorhandle in a bid for a podium finish in the final race.The race win went to the impressive Jackson â€“ his second victory of the season â€“ as the Motorbase driver nipped by team-mate Fabrizio Giovanardi in the early stages. Smith followed suit to claim a lonely second place while the epic scrap ensued behind. 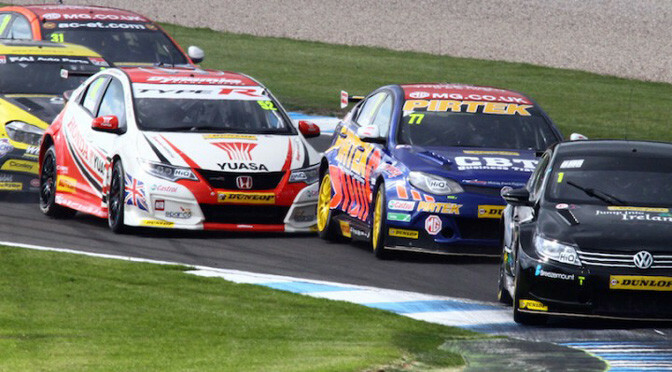 They were three abreast on the run down to Becketts before Plato made it four former champions in the fight. Platoâ€™s MG then made contact with the rear of Turkingtonâ€™s BMW at the tight turn, which speared the Ulstermanâ€™s machine into Giovanardiâ€™s Ford Focus. The Italian impressively saved the car from a wild slide but not before he had been bumped down the order. 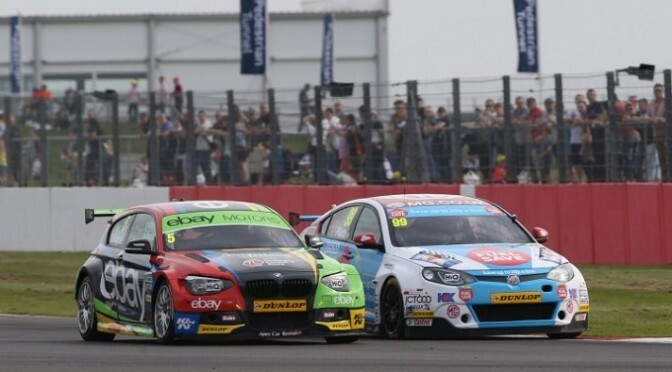 The fallout from a fantastic weekend at Silverstone is that Turkington now holds a 50-point advantage in the Driversâ€™ standings over Plato and the two will now duel it out for the coveted BTCC title at Brands Hatch next month. 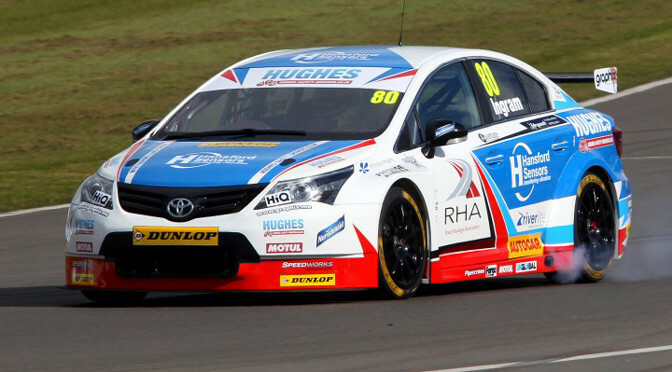 MG KX Clubcard Fuel Save is in the driving seat of the Manufacturersâ€™ championship with Platoâ€™s dynamic double extending its lead over Honda Yuasa Racing to 28 points. 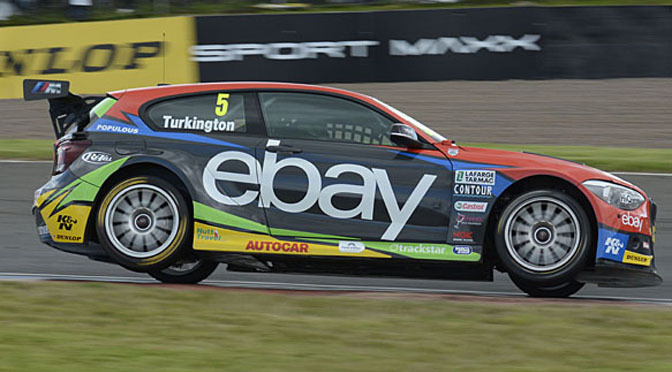 Turkington and eBay Motors have now moved into unassailable leads in the Independentsâ€™ drivers and teams tables.